Running has been in the spotlight a lot in the past few weeks, and not for a positive reason. Because there have been some recent physical attacks on runners, it’s important to understand how to stay safe while running. Do you know what to do if your life is in danger? This information is important for men and women alike. Todd Williams, two-time Olympian and black-belt in Brazilian jiu jitsu, is the founder of RunSafer.com. He talks to us today about how to keep your personal safety in mind while running. One major key is not getting complacent, which is a trap that many runners fall into. Todd’s athletic history and how it was to compete in the Olympics. Why he started taking up Brazilian jiu jitsu. Todd’s best tips for staying safe while running. What to expect at a RunSafer workshop. What to look for in a workshop to be sure it will be effective for you. The greatest advice Todd’s ever received, his favorite book, what he’d tell a new runner, his favorite pre-run meal and his favorite running product in the Final Kick. 2:50: What’s it like being an Olympian? 7:45: What made you move toward martial arts, and what is Brazilian jiu jitsu? 13:45: How did the training for jiu jitsu differ from training as a runner? 16:35: Do you think you would have been able to do jiu jitsu and running at the same time, or are they too opposite? 18:10: Do you think the recent attacks were flukes or something that will continue to happen? 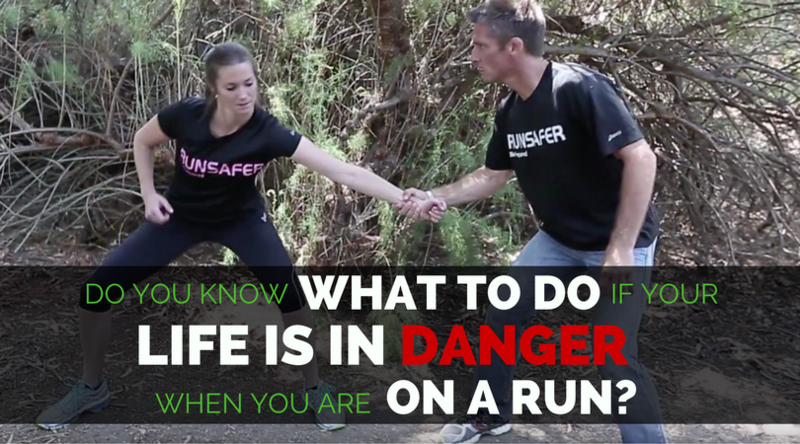 20:00: What are your best safety tips for runners? 21:20: Should you change your route as you run? 22:10: What about people who have to run early in the morning in the dark? 24:30: Can an attacker be in a remote location even if you’ve never been there before? 25:30: What would you say to men who think it can’t happen to them because it’s just for women? 27:30: Are there personality traits that “scary people” have in common? 29:15: What do you think about listening to music and listening to headphones? 30:50: What would you say to someone who thinks they could outrun an attacker? 32:20: Explain how helpful mace, an alarm, carrying a key between your knuckles, etc, are. 35:00: With GoGuarded or mace, do you go for the eyes? 36:35: What can someone expect at one of your workshops? 45:55: How can people know what type of safety workshop would be effective? “Most attacks that I’ve heard about have happened while [the runner] was alone. Finally, if you have been listening for a while, and you have a few few moments, would you be able to review the podcast on iTunes to help Run to the Top move up the rankings. My goal is to make this the best running podcast out there, and this helps tremendously. YouTube Video of a Demonstration of How to Leave a Review from a Desktop. I appreciate you tuning in. Remember you can always email me tina@runnersconnect.net if you have any suggestions, feedback, or guests you would like to hear from. Next week, we will be talking with my husband and coach, Steve Picucci. He has a lot of great advice to share and I hope you’ll join me for next week’s episode!